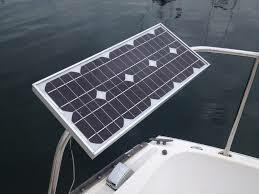 Are you considering adding solar to your boat or perhaps doing some rewiring? We recently had the pleasure of attending a number of seminars at the Vancouver Boat Show. One of the seminars was about adding solar to your boat and was put on by Pacific Yacht Services. PYS specializes in electrical services for your yacht, including solar consultation and installation. Their web site has a Resources section that provides a lot of free information about all aspects of yacht electrical systems. If interested you can find their web site here.